We pop in chickpeas as a snack , but to turn it into a salad dish is the first time I have ever tried and surprisingly it turned out to be good. The dressing blends well with the chickpeas. The recipe was adapted from Family Circle Salad book. I boiled the chickpeas for the Piggies as snack while watching their holiday movie and I suddenly remembered reading this recipe from the Salad Book by Family Circle. After those artery clogging goodies we indulged in since Christmas, I thought it was a good idea to have more salad in our daily intake and since I have the chickpeas ready for consumption I might as well try it out….curiousity kills the cat but in this case curiousity benefits the Piggies..oink oink and Piggies and myself love it. The subtle fragrant from the chopped italian parsleys , the tangy taste of lemon juice and the after taste sweetness from the honey makes this a perfect combo. The chopped garlic and red onion of course added extra flavor to the salad! The scent is out of this world. And the infusion it makes is absolutely heavenly . This salad is easy to whip up, but its taste is much more luxurious than its simplicity belies. Mix together ingredients A in a salad bowl. Mix dressing ingredients in a jar and shake it to get the infusion to start its magical work. Pour over the salad and toss well. Note: This can be prepared a day ahead and keep in fridge. Wah, so colorful. Feel like want to take a bite just by looking at it. Yum yum. 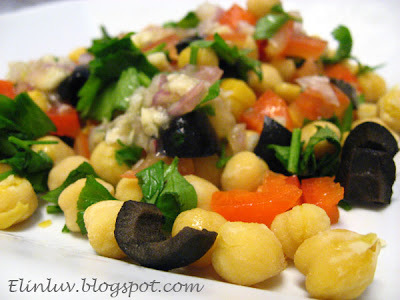 I love chickpea salad! This one looks delicious!! Sounds like a delicious snack. Chickpeas can be quite addictive as we've made batches of this before by cooking them with mustard seeds, dried chillies and curry leaves. this salad looks so amazing and healthy. Thanks for sharing. This does look nice and cleansing after a month of overindulgence. Oh this looks so good. I love a bean salad of any sort! This looks wonderful, and so easy to make! I'm impressed you boil your own chickpeas: I just use canned. 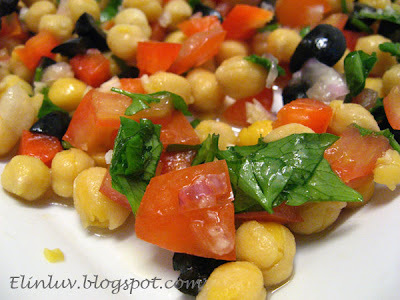 Here's another idea: chickpeas, tomatoes, black olives and boiled eggs. With a lemony dressing. It might sound a bit odd, but the flavors go really well together. @ SoCal Pastry Chef: Hi, thanks for dropping by and you are welcome. 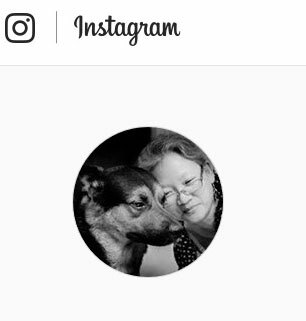 @ Olga : Hi Olga, welcome to my blog. 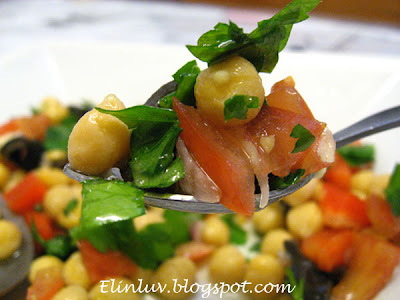 And thanks for sharing your recipe on chickpeas salad. 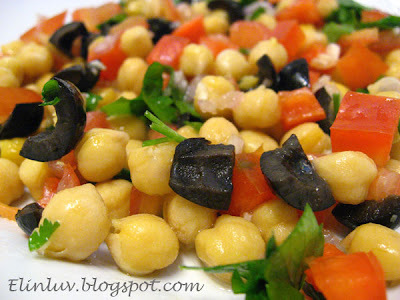 What a creative idea to use chickpea for salad! Luv it!